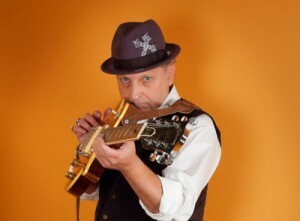 DownTown Mystic is the alter ego of American Rocker, Robert Allen, whose passion for “old school” recording borders on obsession. The sound of DownTown Mystic is “vintage yet modern”. The music is rooted in all the great traditions of American Rock‘n’Roll, blending story telling songs with vintage guitars and analog recording into a unique style that owes nods to Buffalo Springfield, The Byrds, The Eagles, The Beatles and the Rolling Stones but somehow manages to sound as contemporary as anything currently available. Just when and why did Robert Allen become DownTown Mystic? Robert Allen: Actually it was 20 years ago. I was looking for a name to call the project that could work as a band name as well as represent me as an artist and not be something like “The Robert Allen Band”. Doesn’t have the same vibe as DownTown Mystic, right? So one day I was driving to a gig in Boston and was coming up on a town in Connecticut called Mystic (yes, the same as in the Julia Roberts movie). As I approached the exit for Mystic I saw this old wooden sign on the side of the road that read “Next stop Downtown Mystic” and immediately knew that was the perfect name for my project! As far as I was concerned, it was FATE!! Do you have an essential core backing band that has followed you all the way until your latest release, or is everyone just there for the individual project? Robert Allen: The idea for DownTown Mystic was to be an open ended band with me at the center. I was only thinking about playing with really good players in the studio to record with. I wanted to play with a variety of different people so that I could experiment with different combinations. My next album is called Rockn’Roll Romantic and it has 17 musicians contributing their talents. It’s like 20 years have come full circle for me. Do you find that song writing comes naturally to you, or do you consider yourself a musician first, and the writing came about later? Robert Allen: I think of myself as a Songwriter/Producer first even though I was a musician before any of that. Although to be fair, I did start writing as soon as I could play, so it was neck and neck. Songwriting used to come easy for me but then I evolved into a Songwriter/Producer, which involves recording and that changed things. It’s hard for me to separate the two now, and because of that, songwriting becomes this thing where I get a musical idea and immediately start flashing on what the arrangement and production will sound like in my head. If I don’t hear it then I tend to let the idea go unless I hear something in it that might have some potential. I’ll quickly record it to have at some later date and move on. I used to write songs for the sake of writing but not anymore. You use a variety of well-known musicians on your projects. Do you find it’s much easier to perform and to put tracks together with musicians you already have personal relationships with; or do you sometimes seek out that air of freshness that can come from jamming with new musicians? Robert Allen: This goes back to the earlier question of how I put DownTown Mystic together. It’s really a combination of both. I love playing with people I already know and have a rapport with, but then I also love bringing in new people who will give me a view I might not have myself. I like to experiment. As I said, I know how a song is going to sound in my head but that doesn’t mean I have all the parts pre-planned. After cutting a track I might not have that one ingredient I’m looking for. Case in point, on Rock’n’Roll Romantic is the song Brian Jones about the original founder of The Rolling Stones. I had every part of the song recorded, but there was still something missing and I didn’t know what it was. I knew it wasn’t finished but what did I need to complete it? A few weeks after recording the track I was invited by a friend to his sister’s birthday party, who I didn’t know. By the time I got to the party it was winding down and I was introduced to a girlfriend of the sister. She asked me if I ever needed a good harp (harmonica) player because she knew a great one. At first I thought it was an odd question for a stranger to ask me, but then an even odder thing happened. A light suddenly went off in my head! I flashed on the very first time I saw Brian Jones with The Stones. He was playing harmonica and I knew at that instant that I had the missing piece to the track! Adding a harmonica part had never occurred to me in all the time I had been working on the song, mainly because there’s nothing bluesy about the track. Also, I hadn’t even been thinking about the track until she asked me that question and immediately Brian popped into my head. Weird, right? So I called the number I was given and talked to the guy she knew, Jerry Fierro. He came down to the studio the following week and turned out to be an incredible harp player and created a signature harmonica part to represent Brian and totally completed the song! You’ve played with a varied number of names on the who’s who list of rock n roll music – is there still anyone you’d love to work with at some point? Robert Allen: There’s always a musical hero you wish you could play with. For me that would be Sir Paul McCartney. Mainly because the bass is such a crucial part of any track and I’m always thinking “what would Paul play” when I’m having trouble with a bass part. So who better to have as a bass player, even for just one track? That would truly be a dream fulfilled. On each of your recorded projects I may read a list of new names, but one name remains consistent – Ben Elliott, why is that? Robert Allen: I’ve been working with Ben since 1995 at his Showplace Studios. He’s been my engineer and co-producer on many of my projects. We share a passion for vintage analog equipment. We also both like to experiment with sounds so we’ve developed a rapport in the studio. In the last 10 years or so Ben has really come into his own at the board. 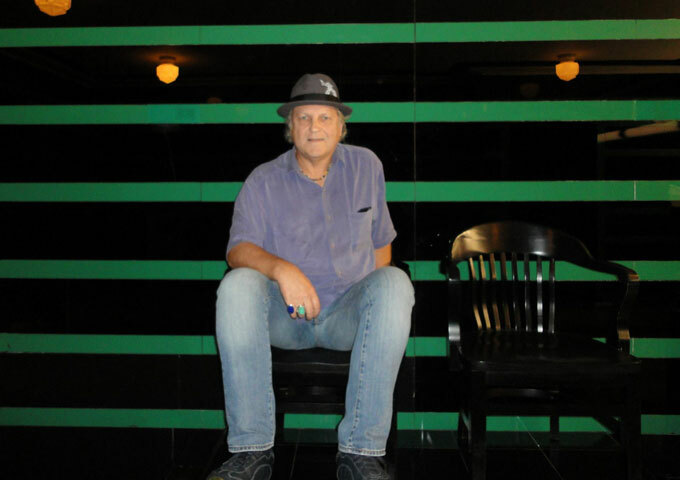 He’s responsible for putting out a lot of great new blues releases on his American Showplace Label. But most importantly, when we work together we’re both looking to create something great and that sets the bar high for us. Also, I trust his ears and instincts. If I’m not mistaken you’re on your third or fourth album release since “Standing Still” debuted in 2010? How does a snappily dressed mature gentleman, playing rock n’ roll, continue to make music in the era of twerking and autotune? Robert Allen: LOL I’m on a mission to bring Rock’n’Roll back as an art form in the 21st Century. 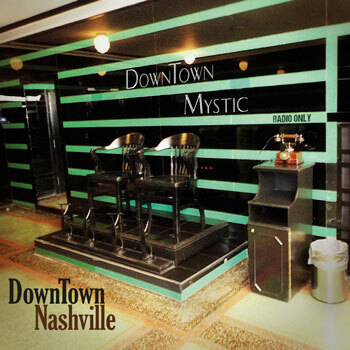 I decided to create a DownTown Mystic Brand musically and not deviate from it. I realized early on that I didn’t sound like anyone, that DownTown Mystic was very unique. I also realized that if I wanted to bring RnR back, then I needed to put my music out there for everyone to hear. Try to provide some inspiration for others like I was inspired and see what happens. If I do listen to what’s out there, I’m listening to see if I’m being reflected in the music. What I mean is I want to hear if there are other artists that are sounding like me. For one thing, there isn’t an artist or band doing contemporary RnR like me that has as many up-tempo songs as me. That’s a fact. There’s an intensity and energy to my music that makes it stand apart from most other music. Little by little I’m starting to hear new bands delving into RnR and coming my way. I’ve also seen my promotional material being used. There’s a new band that’s on a major label and I’ve seen them described in their promotional material exactly like I’m described in mine but in slightly different words. So someone had to have read mine because it was out there years before this band was even formed. I’ve been out front ahead and now the time is catching up to me, which is why I’m becoming more successful. People are looking for new music that speaks to them in this time and place, so they’re opening their minds and ears and allowing new things like DownTown Mystic in. I’m seeing myself supported by what’s out there in the era of twerking and autotune. So far in your distinguished career what would you consider a really successful or high point? Robert Allen: The first real high point career-wise was when the Standing Still album made it onto the Euro/Americana Chart. That was a huge moment for me because as far as I was concerned, DownTown Mystic was now on the musical map somewhere. The album had been all but ignored at Americana Radio in the US when released but it got recognition in Europe. This would lead to a Licensing Deal for Standing Still in Europe, which would be distributed via Sony Music to great critical acclaim. Now DownTown Mystic was definitely on the map! As an independent musician how would you define the word ‘success’ anyway? Robert Allen: My personal motto is “success is how you define it”. It’s very easy as an indie musician to always put yourself down. What I mean is you can put out a cd and get some radio play and feel good about yourself but then go, “but it didn’t make the charts”. So you’re putting a negative spin on it, you know? You say “oh this really cool thing happened BUT this didn’t happen”. Musicians and artists are always doing that to themselves. That’s why it’s so important to learn to define success for yourself. Start with the small things like giving yourself credit for writing a song and recording it. Give yourself credit for recording and creating a finished cd with artwork. Give yourself credit for sending your cd to a radio station and having them play it. Do you know how many cds they get a week? For you to get played is HUGE!! That’s success and you should KNOW you’ve accomplished something and are successful. If you had the opportunity to change one thing about the current music business, what would that be? Robert Allen: I’m not sure I would change anything right now. This is a great time to be making music and be in the business, if you know what you’re doing. I’ve been around a long time and have gained some great experience along the way. I know how to take shortcuts now that I couldn’t take 20 years ago. However, there is one thing that really bugs me today in general, and that is how much music has been devalued. Whether it’s piracy or the big tech companies using music as a FREE advertisement for their own purposes, lt’s hard to blame kids for wanting to get music for free when that’s all they’ve seen and been taught. Until the coming generations learns that if FREE is all you care about, then what incentive will you give artists to want to record their music? Show some RESPECT otherwise the future will not be so cool. Since releasing ‘Standing Still’ through to ‘DownTown Mystic’ and then ‘DownTown Nashville’, how has your work and recording process changed, if at all? Robert Allen: Every one of those projects started with me writing new songs and then needing to have to record them. I would demo the songs and send them to the musicians to learn for the studio so they could come up with parts to play. When we got in the studio we were all on the same page. They might tell me an idea they had and we would try it. If it worked, we kept it, if not we’d move on. I’m not a big believer in over rehearsing, so once we run the song down a few times to where we’re ready for a take, I won’t do more than 3 or 4 takes. I like to keep it as fresh as possible for a final take. It’s all about creating the right “vibe” and “feel” in the track, which is hard to do if you over play it. Is there anything, on anyone of those recordings that you would go back and change if you had the opportunity? Robert Allen: Ok, so I just told you how I work in the studio. With the upcoming Rock’n’Roll Romantic release I wanted to experiment and did just the opposite of what I just said. Nobody heard any of the songs before they got to the studio. I would play it for them on a guitar and then have them basically react to me. I wanted them to play whatever they thought they should play. As I stated earlier, I already have a good idea of what the arrangement and production will sound like in my head, so I can tell them what will or won’t work when I hear it. Even Ben had no idea what was coming, which is why I’m the sole Producer on this record. It really put everyone on their toes because I’m putting them on the spot to create via their instincts. Because of that I didn’t make too many changes with one major exception. We had cut the basic track for the song Think A Little Louder (on Rock’n’Roll Romantic) and it wasn’t working for me. Now Rock’n’Roll Romantic is recorded on 24 track analog tape, and what I decided to do was something I’d never done before and it was really drastic. To fix the track, I wanted the rhythm to be played on acoustic guitars and change the key of the song from B to A so that the guitars would sound better. This meant I would have to erase the bass, guitar and vocals already recorded. Also, the song had 3 verses and a guitar solo, which I thought made the song too long. Thank god for drummer Tommy Mastro being so locked in because the drums were the only thing that kept me from having to recut the track again. I decided to cut out the guitar solo and replace it with a bridge section that could take me back into the final chorus so I could get rid of the 3rd verse. So I wrote the bridge part and had to time it down to the precise second that the solo would end so that it would fit perfectly. Then I edited out the 3rd verse, connecting the bridge to the final chorus and the fade out. I went back in the studio and recorded the acoustic guitars with only the drums on the tape and had PJ Farley and Steve Brown from Trixter come down and record a new bass and guitar part. No sweat! As a musician who grew up in the heyday of rock n’ roll, when ‘paying your dues’ was something that mattered, how do you interpret the fact that today kids make music, make millions and win Grammy’s by simply flipping opening a Laptop and punching a keypad? Robert Allen: I do think there’s something to be said for “paying your dues”. I think it can give one an edge, especially when it comes to performing. There’s nothing wrong with working on a laptop and punching a keypad, but if that’s all you know how to do to make music, I think it will eventually have some drawbacks. You risk sounding the same and when that happens, what are you going to do? The major labels have invested heavily in this way of making music today and they’ve seen a steady decline in sales and a rise in criticism of pandering to the lowest common denominator. What is your relationship with the digital era in your creative processes – in the studio or on the road? If someone has never heard DownTown Mystic, which keywords would you personally use to describe your overall sound and style, and which is the first song you would pull out of your catalog to give them a sample of what you do? Robert Allen: “Vintage yet modern”. DownTown Mystic has a retro vibe and sound but it’s also in the present moment. I get compared to many classic rock acts because of style and sound but there is no other time that my music would exist than right now. You can say a particular song sounds like it was recorded in the 60s or 70s but just try and play it with something from that period and it doesn’t fit in. 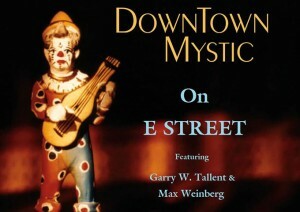 I think DownTown Mystic competes recording wise with anything currently out there. Now which song would I pull out as a sample? I think Way To Know would be a great example of what I do. 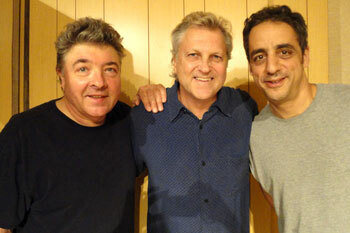 This song was recorded with Garry Tallent & Max Weinberg of The E Street Band. It’s a straight ahead rocker that will get your feet tapping and your head bopping to it. The lyrics sound innocent enough but they are saying something with a deeper meaning. This song was #1 on a very reputable Indie Alt Rock Chart 2 years ago and was recently #1 in Europe on a Euro Indie Music Chart that featured Pop/Dance/HipHop songs as competition. “Vintage yet modern”. Recording in the studio or touring on the road, where do you feel more comfortable at this time in career? Robert Allen: I’ve been exclusive to the studio, which requires a certain discipline. It’s where my passion lies. I’m a Recording Artist in every sense and want to create music that endures. There used to be classic RnR albums made which we still listen to and talk about today. Who’s making them today? I’m trying to do that with Rock’n’Roll Romantic. Let me add that the main reason I stopped playing live in the first place was because of being in the studio. I had to learn the discipline that recording requires. Making a record is much different from playing live. That might sound odd, but when recording in the studio, you’re trying to break the many bad habits you can pick up from playing live. Similarly, “being in the moment” is far more intense in the studio than it is live. This is where TASTE really develops. Trying to create art while under the microscope of the studio takes some getting used to. I’m trying to create magic in a real sense that will translate and infuse the recording, as well as finding the balance between that and going overboard. As far as touring, I’ve paid my dues playing live and if I ever do a DownTown Mystic tour, it will have to be something different and special for me to go out on the road. I want it to be fun as well as making it an event that people will be excited to see. What is your personal relationship with the Internet, social media websites and the new online technology at hand? Robert Allen: I’ve got a very good relationship with the internet and social media. I think it’s a crucial tool for musicians and artists to learn to use in today’s music biz. Facebook, Twitter, YouTube, blogs and personal websites are all valuable resources for anyone to market and promote their talents. Do you exist as an artist if Rolling Stone, Pitchfork, etc. don’t write about you? Not anymore. If you know how to use social media you will not only exist but thrive as an artist. Is there any other genre you haven’t yet experimented with that you’d like to explore at some point down the line? Robert Allen: I don’t think so. I’ve experimented with RnB, Hip-hop, Dance, you name it. Not as DownTown Mystic, which I keep separate from everything else I do, but as a writer or producer. Over the last few years I’ve had success with Sync Licensing for TV and Film and scored some big syncs that had nothing to do with DownTown Mystic music. Let’s forget your band for the moment and all the great players you have ever played with. But if you could choose any legendary drummer, bass player and keyboard player (living or dead) to back you up on a live date , who would they be? Robert Allen: Well we already know that Paul McCartney would be on bass. Leon Russell would be my keyboard man and my drummer would be…that’s the tough one. Ringo of course, but there’s also Charlie Watts, Steve Jordan, Kenny Aronoff. and Stan Lynch on my wish list. If I had Paul I would have to go with Ringo. How could I not want to play with maybe the greatest rhythm section in RnR history?? Who or what was it that originally inspired you to play the guitar, and what was the very first song you were able to play? Shutterwax have gone for the fences and hit it out of the park! V.n.S – ‘Fool’s Paradise’ featuring Corinne Caston in a sultry bed of slow burning music!